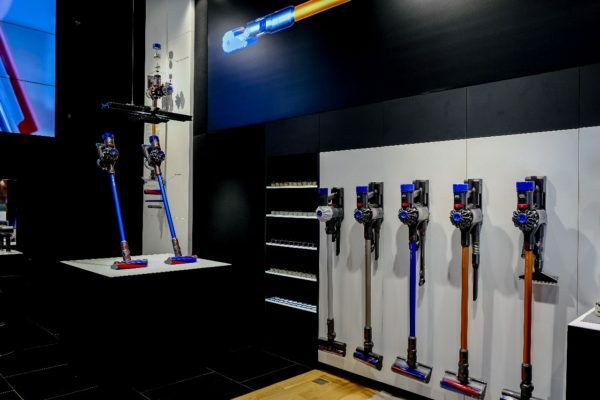 Dyson has officially opened the doors to its new Demo space at the SM Aura Premier in Manila. 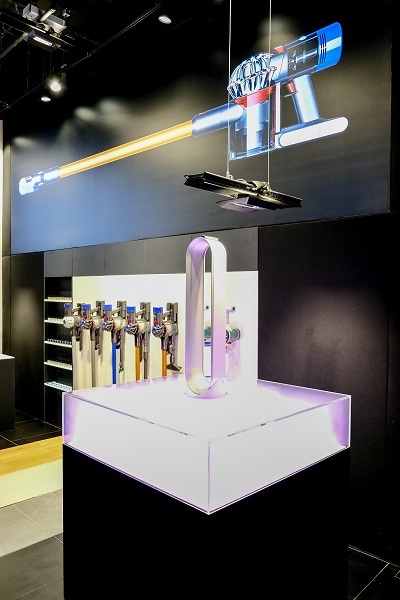 Along with the Dyson demo in Greenbelt 5 and a future demo in The Podium, the space is engineered to encourage people in the Philippines to pick-up, test and experience Dyson’s technology. Thanks to the Dyson digital motor V8, which spins at up to 110,000rpm, the Dyson V8TM cord-free vacuums provide powerful fade-free suction and weigh just 2.6kg. Visitors to the Dyson Demo at the SM Aura Premier will be able to try the machine on 3 different floor surfaces, with different varieties of dust and debris. 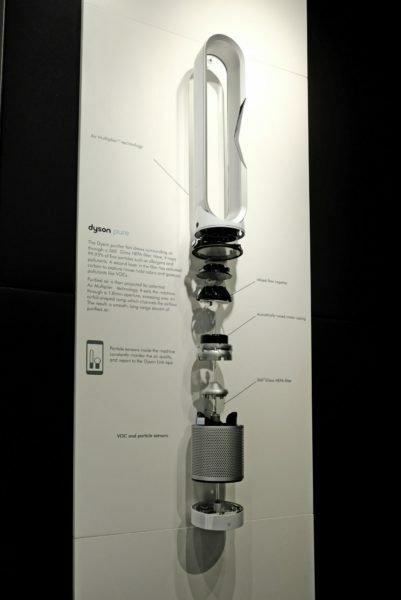 Visitors will be able to see the Dyson digital motor up-close and speak to Dyson experts about which technologies are most suitable for their home. The Dyson Pure Cool LinkTM purifying fan removes 99.95% of allergens and pollutants as small as 0.1 microns from air. This intelligent purifying fan automatically detects and captures microscopic airborne pollutants in your home, and reports the live indoor and outdoor air quality to the new Dyson Link App – allowing users to remotely track the inside air quality at all times. Smoke-box demonstrations in the Dyson Demo help to visualise the power of the machine to filter pollution. Dyson experts are on hand to explain the way in which the hardware and software integrate to give the machine intelligence and reveal invisible airborne pollutants. Powered by Dyson’s small and powerful digital motor, the Dyson Supersonic™ hair dryer is fast, focused and intelligent. It is the result of a £50 million investment in the science of hair. Dyson engineers studied hair from root to tip, understanding how it reacts to stresses, how to keep it looking healthy and how to style it. 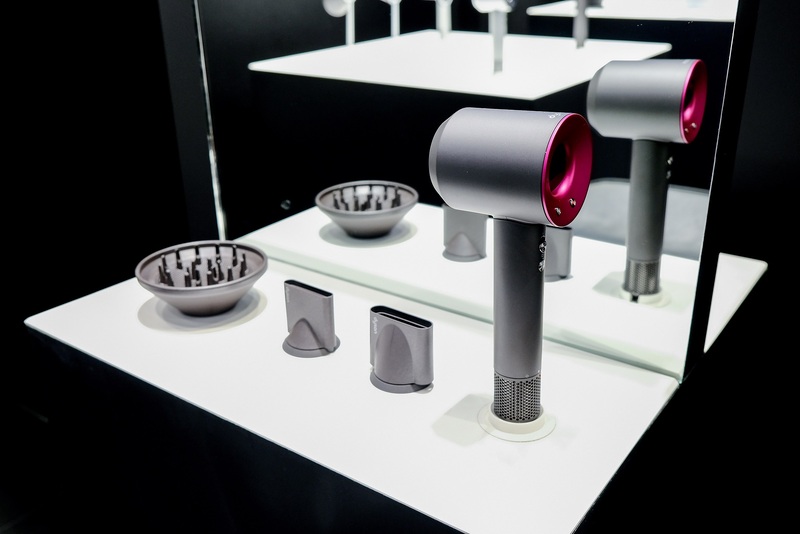 The Dyson Demo features two styling stations to allow people to test and experience the Dyson Supersonic first-hand. Dyson experts will be on hand in the Dyson Demo to explain how the product works, the technology inside, and offer styling advice. Complimentary in-store styling appointments may be booked through the Dyson Philippines Facebook page. 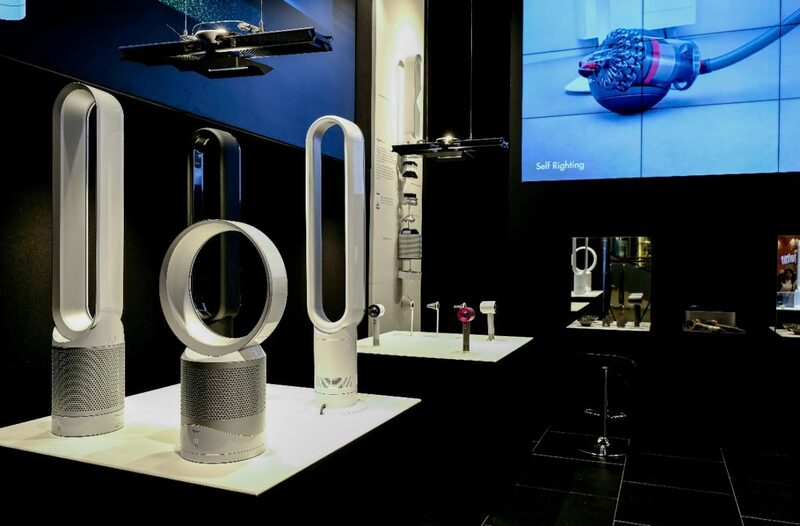 The space in the SM Aura Premier is the most recent addition to a growing of Dyson Demo spaces – similar spaces are planned for other major world cities. 1999: The original concept space, also masterminded by Chris Wilkinson opens in Paris, based on the principle that people need to understand how a machine works, to realise how it is better. 2015: Flagship Demo space opens in Omotesando, Tokyo. Dyson SupersonicTM hair dryer salon: Customers can book in for a styling demonstration with the Dyson Supersonic™ hair dryer at through the Dyson Philippines Facebook page. 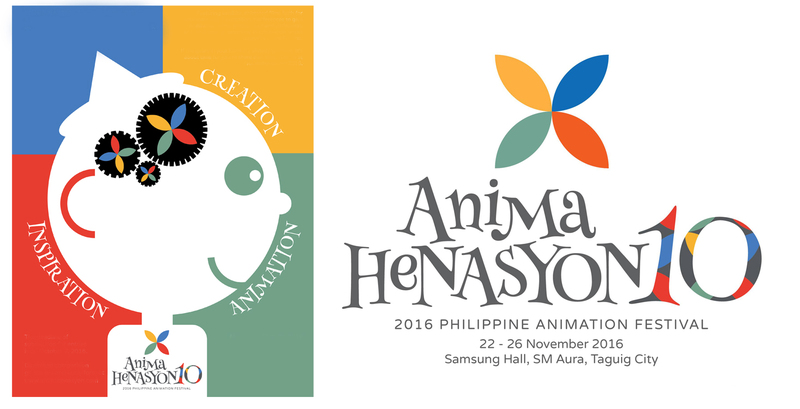 The new Dyson Demo is located at the SM Aura Premier, Level 2, 26th Street corner, McKinley Parkway, Taguig City, Manila. It will be open 11:00 – 23:00 on weekdays, and 10:00-22:00 on weekends. Philippine Advanced Manufacturing Centre: As of 2017, Dyson hires more than 380 people in the Philippines and by the end of 2017 will have 400 people. 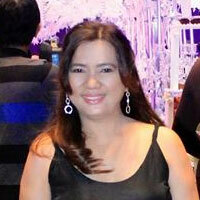 Dyson made its 1 millionth motor in the Philippines in May after just one year in operations. 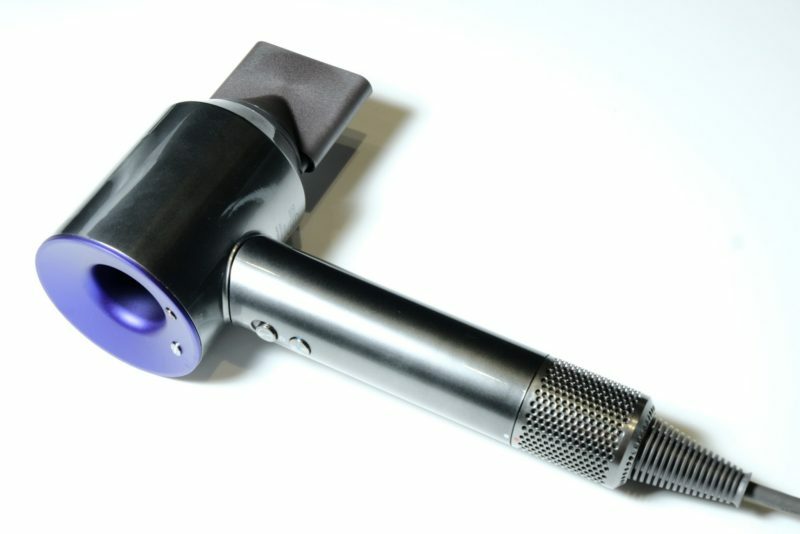 Global Technology Centres: Dyson launched technology centres in Singapore and most recently Shanghai. These facilities support the development of future Dyson technology through research in artificial intelligence, robotics, software and connectivity. Early 2017, Dyson announced its intent to work on a second Cotswold technology campus in Hullavington, near its global headquarters in Malmesbury. This comes as part of Dyson’s wider £2.5bn investment in future technology. Dyson Institute of Engineering & Technology: In November 2016, James Dyson announced plans to open The Dyson Institute of Technology to tackle head-on the dearth of skilled engineers in the UK. Through the institute, James will invest £15million over the next five years to offer the brightest aspiring engineers a relevant alternative to a traditional university degree. James is the founder and owner of Dyson. Frustrated with his bagged vacuum cleaner that lost suction, Sir James set about solving the problem and developed cyclone technology. After thousands of prototypes the first dual cyclone vacuum cleaner – DC01 – was launched in 1993. As Chief Engineer, James is an integral part of Dyson’s Research and Development process and works full time out of Dyson’s Malmesbury headquarters. James spent one year at the Byam Shaw School of Art (now part of Central Saint Martin’s College of Art and Design) before reading furniture and interior design at the Royal College of Art. 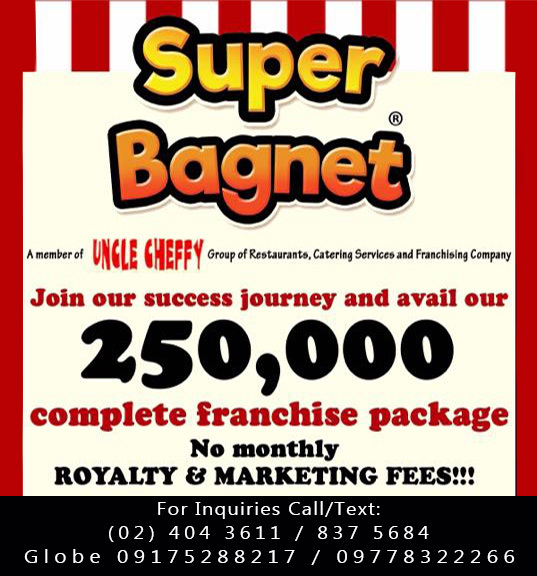 For further information, please contact Elie Diccion or pr@acgpi.com.